Show started with a promo with Jeff Jarrett, Karen Jarrett and Chael Sonnen where Sonnen made fun of Karen leaving Kurt Angle for Jeff. She slapped him and screamed he wouldn’t be in GFW if not for her husband. This promo went absolutely nowhere and no one believed for a minute that Chael Sonnen couldn’t wipe the ring up with both Jarretts in seconds. PJ Black vs. Virgil Flynn vs. Jigsaw vs. TJP. PJ Black wins the Title in the Main Event of the show. It was good for the spotfest it was. Sonjay Dutt vs. Seiya Sanada. Dutt won, but they stole the show. Best match by far. Christina Von Eerie vs. Amber Gallows. Von Eerie wins the title cleanly. Reno Scum vs. Teaze N Sleaze. Jacob Austin Young substituted for Kenny King. Reno Scum still won. Bollywood Boyz vs. Whirlwind Gentlemen. Bollywood Boyz won, and the audience didn’t care much. Brian Myers vs. Kongo Kong (w/Henry Maxwell) vs. Kevin Kross. Kongo Kong won with a Top Rope Splash. Myers and Kross worked their asses off to get Kong over. 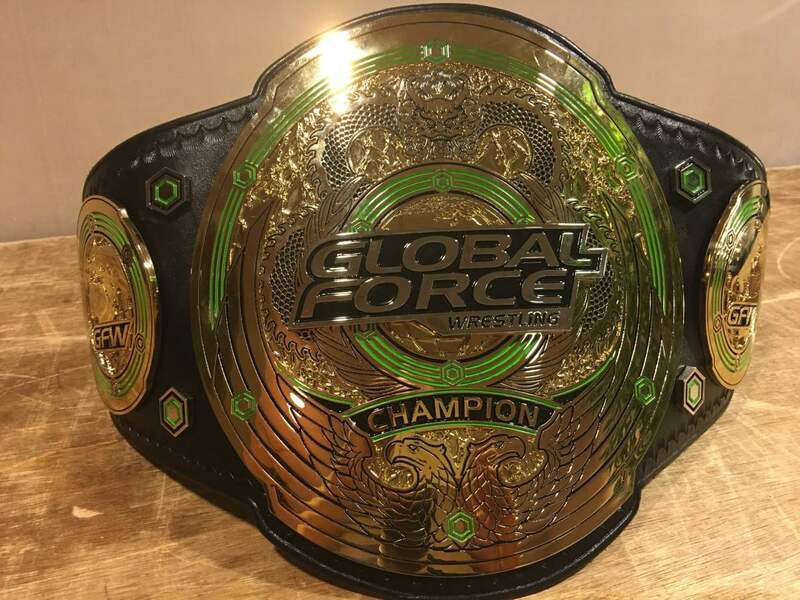 Nick Aldis beat Bobby Roode for the GFW Title, then got a beatdown from Chris Morteszky which he got hardway busted open bad from, so bad they stopped the show to replace the canvas bad. Aldis was a bloody mess and they rushed him to the back. The Bollywood Boyz beat Reno Scum for the GFW Tag Team Belts which went over like a brick. The Masked Saint beat Joey Ryan. The crowd did not care except for the plants. There was an angle where Jeff Jarrett announced the movie was released to rave reviews (it has not been) and brought Brett Grandstaff out who got a beat down from Young and Ryan that got no heat and he basically no sold seconds later. It was bad on many levels. A group of very obvious plants were at ringside with posters for “The Masked Saint” and it was very obvious to the point of “Stunt Granny” bad. This show had a few good moments, but really looked like any indy show and not a show trying to be the #2 company in America, and right now they’re not even remotely close.